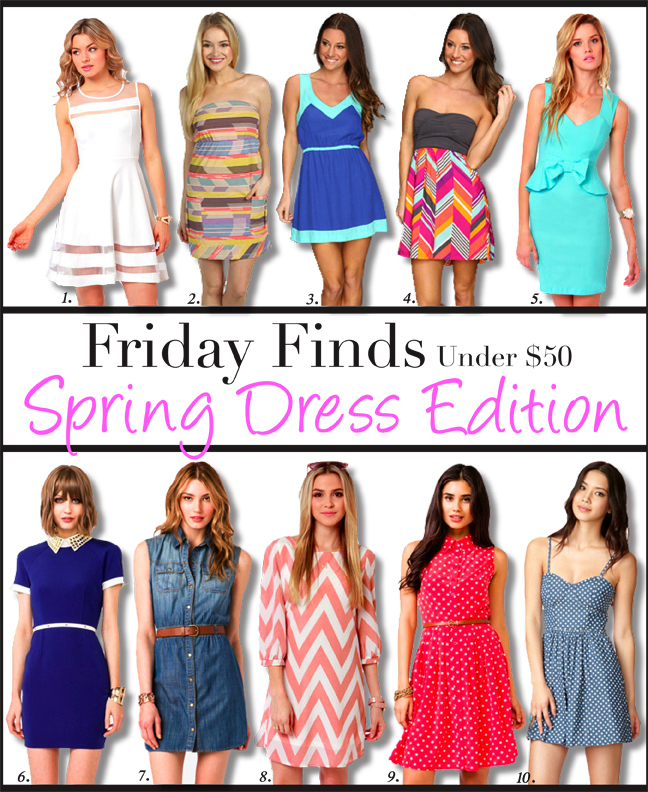 I'm switching it up this week and focusing on only Spring Dresses for this edition of Friday Finds! I also upped the ante to $50 because there were some adorable ones in the forty dollar range, and I had to share them with you. For example the coral chevron one from Lulu's is crazy cute and comes in multiple colors! I had such a hard time narrowing down which 10 dresses to share, there is such a great selection of sun dresses out right now! I find myself being drawn to anything with bows and polka dots; no clue when I became so girly! Also, I don't know if you're aware, but Easter is happening this weekend. I was raised in a Christian home, but we've never been big Easter celebrators. It's ridiculous seeing how Easter is the most important day in Christianity, but somehow Christmas beat it out years ago. My husband and I will probably head up to our hometown and see our family this weekend, which makes it the 5th weekend in 6 weeks that we've been away from LA. 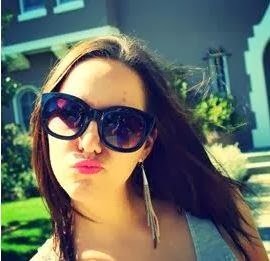 I am totally using my time being unemployed to see my family and friends. I assume my next job will be full time, and then I will long for weekends away. Do you have any plans for Easter? What are some of your family traditions? Oooh, cute choices! Number 5 and 9 would totally be my picks haha. Have fun celebrating Easter with your family! These are cute! I like number five the best, although I think it would look better in a different colour. The coral chevron one is PERFECT I might need one!